I am frogging my socks and starting over. Never regret. If it’s good, it is wonderful. If it’s bad, it’s experience. One thing led to another and I decided I would practice photography on my son’s action figure collection. I am not allowed to touch them, so excuse the dust. The room is dark because sunlight weakens the glue. So there were some photographic challenges to overcome. I concentrated on the girl figures just for fun. OK, these photos are a little weird. I was stuck on something to blog about. Blogging daily does have its drawbacks. 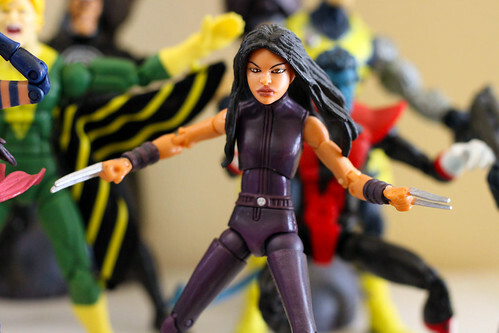 There are more action figure photos on my flickr page. This entry was posted on Wednesday, May 13th, 2009 at 3:00 am and is filed under Photography. Tagged: Photo. You can feed this entry. You can leave a response, or trackback from your own site.